For the first time in more than 50 years, eggs could be sold in a new healthy light and not with a cholesterol warning. This all depends if the Dietary Guidelines Advisory Committee files its springtime report with USDA and HHS (after the public comment period), and sticks to its decision to no longer caution against eating foods that contain cholesterol. Cage-free or free-roaming: Over 90 percent of hens are raised in cages that are between 48 and 68 square inches. Birds that are cage-free or free-roaming are not caged; however, they likely were still raised within the confines of a small building and generally do not have access to the outdoors. So this is a distinction without much of a difference. Certified humane: For a farm to make this claim, it must meet specific criteria: The hens may not be caged; their feed must be vegetarian and contain no antibiotics; and the birds need to live in a natural environment that allows for behaviors like preening and scratching. Fertile: These are eggs that, when incubated, will develop into chicks. They are no more nutritious than other eggs and are usually priced higher than others. Usually fertile eggs are cage free and come from hen houses where roosters roam as well; some consumers believe this is a more natural habitat. Grass-fed/Pastured: There is no USDA-approved definition of this term when it comes to hens. Farms touting grass-fed egg laying hens claim their hens are as close to being “wild” as possible. Grass-fed hens are usually allowed to roam freely and so they eat a variety of things found in their natural habitat: grass, bugs, and whatever animals they might catch and kill. All of these (individually and together) contain adequate protein. (Including vegetation) Because this term is not USDA regulated, if you are interested in purchasing grass-fed eggs it may be best to get to know your farmer and their farming practices. Hormone free: The use of hormones in poultry has been banned since the 1960s. So by law, all eggs are hormone-free. If a carton offers this claim alone, it’s a waste of money if it costs more. Natural: This is another meaningless term. 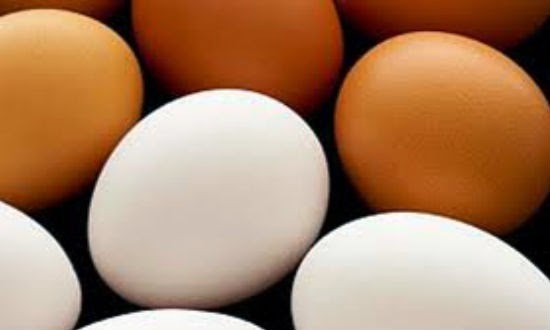 According to regulations from the U.S. Department of Agriculture and the Food and Drug Administration, no additives or colors can ever be added to eggs. USDA-certified organic: This means that the hens have eaten only organic feed and grain grown without fungicides, herbicides, commercial fertilizers, and pesticides and that their diet hasn’t contained any animal or poultry by-products. The hens also have not been given any antibiotics or growth hormones, and they’ve been allowed access to the outdoor. So what are the best eggs for your nutrition buck? Look for pastured eggs or those that have access to the outdoors (although this is no guarantee); also get to know your local farmers and find out how their chickens are raised – this is your best bet for the best nutrition and for supporting your local economy and community. According to Mother Earth News, one (of many) study demonstrated that free-range or pasture-raised chicken eggs have four to six times more vitamin D (one of the only natural sources), three times more vitamin E, two-thirds more vitamin A, one third less cholesterol, and seven times more beta carotene. They also have two times more omega-3 essential fatty acids, and some would say a better taste. Buying eggs from a local farmer also ensures their freshness, you know they were produced only days before. In any case, eggs are a great all day long and all year round!